News that the FDA’s advisory panel had recommended Janssen’s intranasal esketamine spray Spravato as a treatment for treatment resistant depression, took the top spot this week. The therapy, based on party drug ketamine, may act as a significant breakthrough in the neglected area of mental health. Other news saw England’s chief medical officer Dame Sally Davies, who is leaving her current role to become Master of trinity College Cambridge, suggest that as many as one third of antibiotics may be prescribed inappropriately. Meanwhile as the Falsified Medicines Came into effect the ABPI warned that a no-deal Berxit could lead to it being scrapped in the UK. 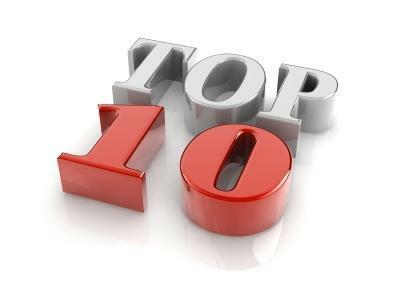 Check out this week’s top ten most popular stories of this week! One third of the antibiotics prescribed by the NHS are given out despite there being no medical evidence that they are necessary, England’s Chief Medical Officer Dame Sally Davies has said. A team of researchers have devised a new way to accurately detect residual HIV in the body’s immune cells, allowing for better evaluation of the efficacy of potential therapies in eliminating the active form of the virus. The Falsified Medicines Directive would be scrapped in the event of a no deal Brexit, the Association of the British Pharmaceutical Industry (ABPI) has warned. The scrapping of the EU legislation could put patients at risk. British multinational GlaxoSmithKline has agreed to pay up to €3.7 billion ($4.2 billion) for the rights to Merck KGaA's next generation cancer immunotherapy. It’s bad news for Scottish patients living with aggressive forms of non-Hodgkin lymphoma (NHL) as it emerges that the Scottish Medicines Consortium has chosen to reject Gilead’s CAR-T therapy Yescarta (axicabtagene ciloleucel). Excitement is building for the potential of AI in just about every field, but how can it address pharma’s unique challenges? Matt Fellows speaks to the not-for-profit organisation the Pistoia Alliance to see where the industry identifies these challenges, and how the technology can help tackle them. Janssen has announced that its esketamine nasal spray Spravato has been recommended by the FDA’s advisory panel for the treatment of treatment-resistant depression.